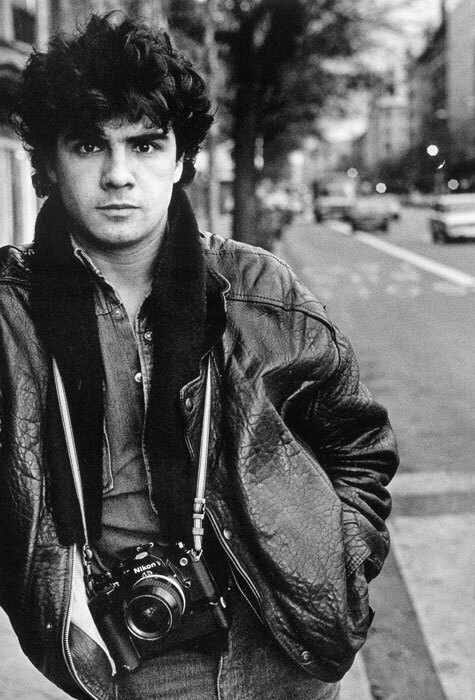 Almost forgotten, the first Spanish Photo Journalist killed in a conflict, Juantxu Rodríguez. Why is he forgotten, what had happened? Well, search for the name in English in Google, you will see that no english speaking media even know about him, less about the kill on purpose that US soldiers decided to be necessary on DEC 23, 1989. 20 years ago on a day such as today began the US invasion of Panama. And one day of those, a young photographer named Juantxu Rodriguez died under fire from U.S. troops in the country directly targeted at him. A few days earlier, on Saturday, 16 December 1989, Juantxu Rodriguez, the Italian photographer Ivo Saglietti and this author quietly dined at a restaurant in Santiago, Chile, at Pio Nono street in the neighborhood of Bellavista. We talked a lot about the present and the future. We thought there were coming more peaceful times. The Berlin Wall had just dropped. There was a general tiredness of conflict in Central America after decades of wars. The Soviets (who now were simple Russians) had left Afghanistan. Chile returned to democracy. Although Juantxu was not a photographer of, nor experienced in, armed conflicts, the protagonists of his work were the excluded and forgotten of our opulent Western societies at that time. After a few pisco sours (the Peruvian-Chilean aperitif par excellence) and a bottle of Chilean wine we said goodbye with hugs as we photo journous usually do. I've always thought this to be a kind kind of last hug just in case the black queen should cross our way. That night I slept in the house of Ivo. In the morning we rose with alarming news: a U.S. officer had been killed in a confusing incident by members of a paramilitary group in Panama. I recommended to my Italian friend to stay a few days in Panama, where he flew the next day, before continuing his trip to Nicaragua. "Something big is going to happen," I remember saying. Juantxu was performing a magazine work together with the great journalist Maruja Torres on a story on the Jesuits in Latin America after the assassination of Bishop Ignacio Ellacuría and five nuns a month earlier in El Salvador (which, - after a few weeks ago the 20 yrs tap on the docs was lifted - we also now know to have been ordered by the General Staff on a suggestion by the CIA, you can google the details, they are almost incredible). That Sunday he was flying to Brazil and arrived in Panama on Monday. He posed as a tourist to have no problems entering the country, but he bulky camera bag betrayed the photographer and entry was denied. Ivo, who arrived in another plane from Chile, also failed to convince airport authorities of the well meaning of his stop in Panama. Both photographers spent several hours in the airport talking about the divine and human. As if following up the Chilean restaurant conversation. The only alternative that remained was to fly to Costa Rica and from there enter Panama via ground. When they were about to close the dflight arrangements the Ambassador of Spain, Tomas Lozano, arrived, with an entry permit for Juantxu. The two photographers were able to exchange another strong hug. The U.S. government had been preparing the invasion for months and was only waiting for an excuse to give the order. In May 1989, General Manuel Noriega, the Panamanian strongman, had annulled an election won by the opposition clearly, and after the incident, on the morning of December 20, the invasion began. First US savagely bombed the capital and occupied it with a few thousands of soldiers. Two days after the event the Noriega army had disintegrated and he had taken refuge in the vatikan embassy. Juantxu took the great opportunity to make impressive pictures throughout the day. The next day, "El Pais" published a picture of him, taken at the morgue. There were very few photographers in the city and the photograph went around the world. The international media had concentrated on the Costa Rican border, waiting to circumvent the blockade. 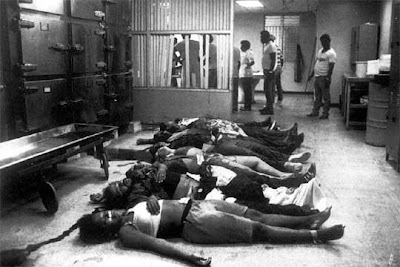 Noriega and the Americans were in agreement on one point: No eyewitnesses wanted on what was happening in that country. Maruja Juantxu by then had decided to go to the Marriot hotel to collect his belongings after a day and two nights of continuous work, to leave the country. Around the hotel there was a shooting and a bullet struck the young Spanish photographer in the forehead, killing him instantly (two more photographers were targeted by the US soldiers in this exchange: THe highly experienced Patrick Chauvel, a living legend in the journalism of conflict, which miraculously survived his serious stomach wound, and Britain's Malcolm Linton, who was left with an injured ankle, both managed to get into cover just in time to save their lives). The problem was that this special fire fight around the Marriot was a blue-on-blue incident, US Marines were exchanging fire with other US Marines mistaking them for the ENY, and the photographers had become aware or the nature of the fight, earlier than the soldiers. This could not be allowed, so the soldiers received orders to take the witnesses out. Of cause, and not surprisingly from my POV, until today, despite all the facts being in the open, nobody ever was prosectued for this act of breaking ROE´s. The big ones never get punished.